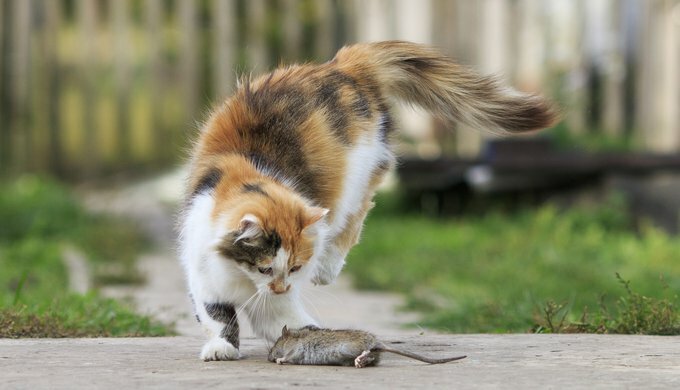 Iceland: a cat hired as official "Mousekeeper"
Is your cat a talented mouse catcher who always brings home their prey? Maybe it could become their career! This is what happened to Pál Dánielsdóttir, a young Icelandic cat who happens to now be a real working-cat! As surprising as it sounds, it's 100% true! The Fosshotel in Hellnar has officially hired a cat as the official "MouseKeeper", where she will try her best to keep as many mice away from the hotel as possible, as well as being cute of course. Her owners, also employees of the hotel, have insisted that their cat can also have her own staff card like everyone else! Luckily, the situation doesn't bother the guests that stay in the hotel at all - it is quite the opposite! They see the new fluffy employee as the hotel's mascot. Pál has become quite a celebrity on social media. Her owners created an Instagram account for her and she has thousands of followers. Should she live up to her name, the hotel may consider hiring more fur pals! What do you think about a world where our pets are also our work colleagues?